A former analyst for the Department of Defense needed to have an ovarian cyst removed before she could go on assignment in Iraq. A Hillsborough County jury found that during the surgery, her surgeon mistakenly lacerated her small intestine resulting in a systemic infection, causing her to become septic. Sadly, this resulted in the amputation of both her hands and feet. The surgery to remove the infected tissue left the woman in need of 24 hour nursing care, largely disabled as a result. The defendant, the University of South Florida, contended that the injury was not sustained during surgery and instead that the bowel perforation occurred at a different time, as a result of the Plaintiff’s other medical conditions. After two hung juries were unable to come to a decision, a third jury agreed that the woman’s doctor was indeed negligent in his performance of the surgery, finding the University of South Florida responsible for over a hundred million dollars in damages. 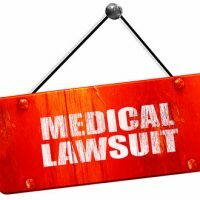 In the case of a medical malpractice lawsuit, the plaintiff’s attorney must prove that the doctor acted in a negligent manner, or that care and treatment was rendered below the acceptable standard of care resulting in injury or damage. While it was reasonably clear that the perforation to the Plaintiff’s intestine started the chain reaction that resulted in her losing her limbs, the question that hung two juries previously, was whether or not this was a laceration caused by the surgeon’s negligence. The physician, an employee of the University of South Florida, testified that it would be below the standard of care for him to lacerate the intestine and not otherwise catch it, but that, the laceration did not occur during his surgery. This was soundly rejected by the jury, who was able to reach a verdict in favor of the Plaintiff. If you believe that you may have been the victim of medical malpractice, the Palmer Law Firm, P.A. can help. Please feel free to give us a call at 813-506-5651 for a free consultation with one of our malpractice attorneys.